The route of the 2019 Tour de France includes the region of the Auvergne, where AG2R La Mondiale's Romain Bardet was born. The rider wants to make a difference in a race that will go through his hometown. Bardet has won three stages of the Grande Boucle and has stepped on the final podium twice, and he likes the course for the upcoming edition of the race. "It's a very beautiful course, quite difficult on paper with very little downtime," he commented. "Many middle-sized mountains; and any time there are mid-sized mountain stages, they are very tricky with uncertain outcomes. Then there are the very high mountains as well, with those mythical passes: the Izoard, Tourmalet, Galibier and Izeran. These important tests at altitude should be able to widen the gap between the favourites." The race will pass by familiar roads for the Frenchman. 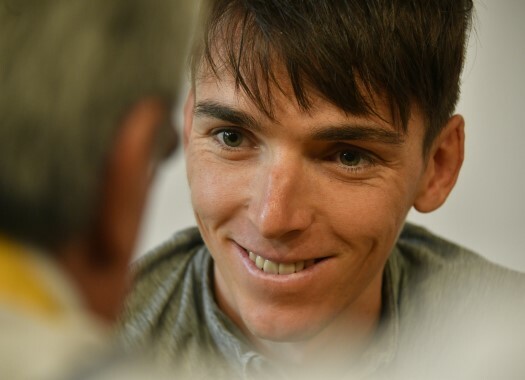 "And happily here is an edition that will pass over my home roads, including a finish in Brioude, the city where I was born," Bardet explained. "It’s a great reward for the Auvergne region and all the cycling enthusiasts there. It’s a nice little wink for me too! There is something very special about being able to race at home, which I already had the pleasure of doing two years ago. It looks to be a very nice party."